Garage doors have a very industrial and conventional reputation as part of a home. These simply house the family car or keep the family stuff safe and away from the elements. Garage doors protect your valuables and your home from intruders. However, a certain type of garage door is making ground in turning the opinion when it comes to what these garage doors can and should do for a home. Cue in the rise of the popularity of the glass garage doors. From something that is purchased on a need basis, glass garage doors elevate it to a design element that most modern homes welcome with open arms. They are tempered glass that is durable as it is supported by thick aluminum on the sides. 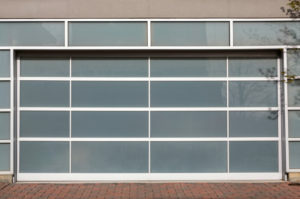 What are the benefits of glass garage doors for your home? Read on. It’s beautiful from the outside and gives a preview of the beauty inside. Today, garage areas have moved beyond the car and the boxes of stocks. Contemporary home design has made garages into living spaces, which can also cover the home’s expansive kitchen and living room. Glass doors provide a seamless look from the kitchen or living room as it opens up unto the patio or garden, versus the usual main road. Instead of a wall with a door, glass garage doors are a beautiful way to showcase a beautiful kitchen from the outside and are a great way to provide a view of the outside without the need to open it especially in cases of winter or rain from the inside. It is perfect for smaller homes and designs with an open lay-out. 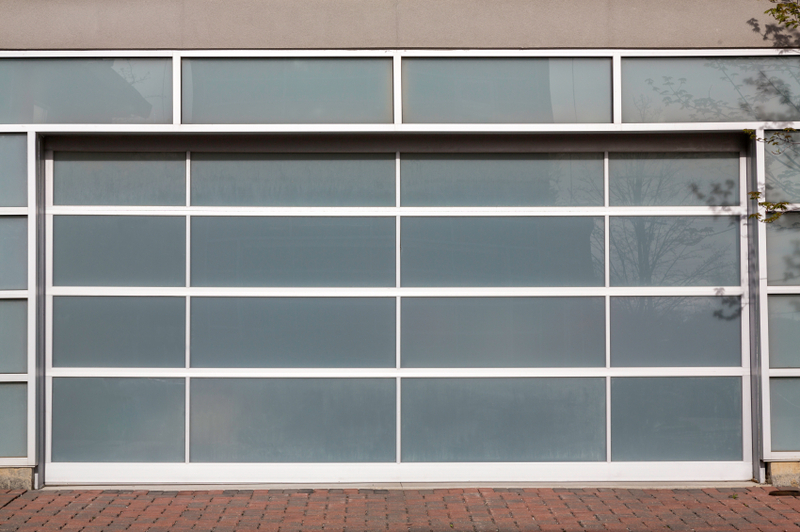 Like mirrors, glass garage doors lend a bigger and more spacious feel to homes with a much more limited space. As everything is see through, it does not cut the view, but rather adds more dimension and depth to any design compared to let’s say, walls or dividers. Speaking of dividers, glass garage doors are not just for outside use, but are also applicable to the interiors as a form of separating living spaces in open lay-outs and bungalows. It is not just conducive to a design-driven house, it is also not as expensive to execute. Compared to full aluminum garage doors, glass garage doors let sunlight in depending on the thickness and kind of glass. This helps in lessening the need for expensive heating and is better at keeping the warmth in during winter. Usually, garage doors come in made and ready for installation. What makes glass garage doors such a hit with interior designers and homeowners is that they are a joy to customize to fit the needs of the owner and the house’s design. Different glass finishes from opaque to fully transparent add flair to a home. When it comes to the frames, those can be painted and adjusted endlessly, providing thousands of options to any homeowner. When choosing a garage door for your home, remember that you also need to consider other factors on top of design. You also need to take into consideration your budget, how much time and money you are willing to spend on maintenance, the climate in your area, and the durability of your door. If you are unsure about these things, it is always best to consult a garage door professional who can help you make the perfect choice. This entry was posted in Blog and tagged garage door company, garage door maintenance, garage door services, Garage door types. Bookmark the permalink.